Calling all IPA fans! The The Hops-Heads Beer Club is the latest membership from the Microbrewed Beer of the Month Club, and it was made just for hoppy beer lovers like you. This new beer club option is the best way to get your hands on local and international brews that are bursting with flavor. Every month try new, hard-to-find craft beers that have been hand-selected by a panel of beer experts who appreciate robust beers as much as you do. Beer enthusiasts can't get enough of IPAs right now, and breweries are coming out with new versions of this popular beer variety almost every day. 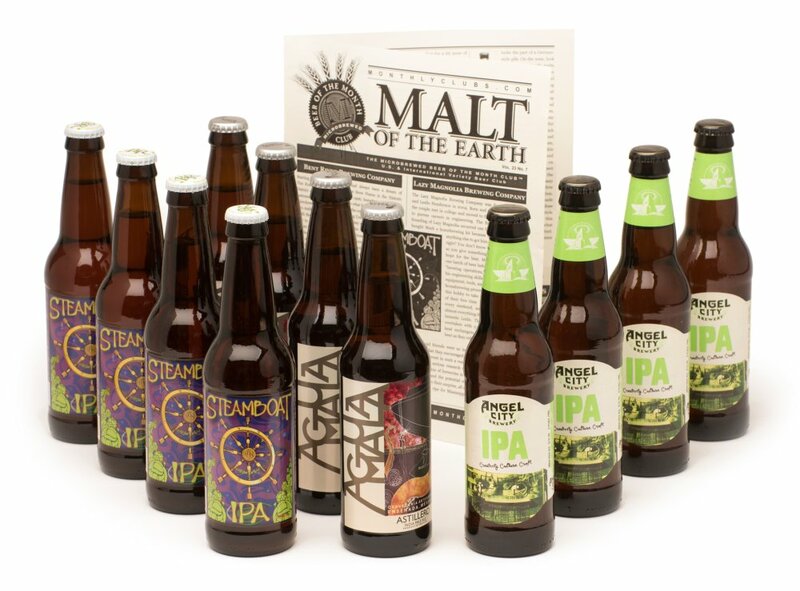 With so many different labels to choose from, it's hard to know which brand of IPA to try. The Microbrewed Beer of the Month Club is here to help you out. When you sign up for their Hop-Head Beer Club, you get to sample three different types of hoppy beers each month. The beers are selected from both domestic and international breweries, so you'll get to try a wide variety of brands you may not find in your local grocery store. For $32.95 plus $15 shipping and handling, members get 12 beers (4 bottles or cans of 3 different beers) delivered every month. You can choose a set number of shipments -- a great option for a gift membership -- or select ongoing deliveries and shipments will continue monthly until you're ready for them to stop. If monthly seems like too much, you can spread your shipments out to every 2 or 3 months. The Microbrewed Beer of the Month Club focuses on quality, variety, and outstanding service to help ensure that customers are satisfied from the time they place their order to when their Beer Club shipment arrives. You'll get to sample outstanding craft beers from domestic and international breweries that truly care about the beer-making process. The Microbrewed Beer of the Month Club has been in business for more than 20 years, and their beer judges and brewmasters have over 100 collective years of experience in the brewing industry.